It is almost surreal looking at how Mikhail Zaykov cradles one of his doll’s heads in his hand. They are so realistic due to his supreme craftsmanship; one almost gets the impression that he is somehow clasping a real head. “Perhaps my dolls are more realistic than is normal. I think this is because many people are looking at the photographs of the process and they think that the work is creepy. However, I am really touched by their reactions when the doll is fully completed,” he said, speaking to RT. Zaykov has managed to achieve a lot in a short space of time. For Mikhail, the most important thing is to try and make the dolls as realistic as possible and to show their emotions. He tries to imbue his creations with their own features, characters and personalities. The sculptor started out in 2010, having just graduated from university. It was a desire to learn from the best that gave him the inspiration he needed. “When I saw the work done by the famous artists Laura Scattolini and Anne Mitrani, they gave me inspiration and I started to work on my first doll. I use various types of clay and making one doll takes me between two and three weeks,” he said. Mikhail normally works with two different types of clay, Fimo and Cernit, which he uses to create his ball-jointed dolls. The dolls have 13 different moving parts, which allow them to strike different poses. They can stand or sit, while they can even have their legs crossed if necessary. He has an interest in costume design and of images from the early 20th century. He makes the leather shoes himself, while the eyes are made from hand crafted glass, which is produced in Germany. 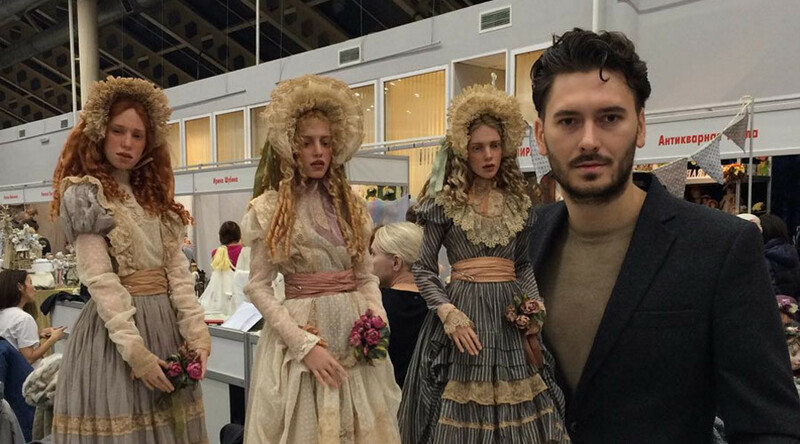 His colleague Irina Kuzemina makes the dresses for the dolls. Zaykov hails from the southern Russian city of Yeysk and now lives in Krasnodar, where he studied graphic design and worked in the local puppet theater. “Now I am working on a new project and the new dolls will be presented at the Dolls Salon in Moscow in March. Usually my work is bought by collectors. I do not take orders to make the dolls from photographs of specific people; rather, I am inspired by interesting people and paintings,” he added. Zaykov has managed to sell all his creations so far, which he says is the “highest possible assessment” of the work that he produces. Although he loves his dolls, he mentions that he has no problem in eventually parting with them.